Tor Browser 8.0a7 is now available from the Tor Browser Project page and also from our distribution directory. This release updates firefox to 52.8.0esr. In addition we fixed some issues with UI customization and YouTube videos play. Tor Browser is not fully compatible with Windows 10, version 1803 (Spring Creator Update, RS4)! Therefore, it disables e10s and sandbox automatically! This happens by default on a clean installation. I've done the smart thing: gone back to Windoze7. Tor failer to establish a Tor network connection. Does this happen with a clean Firefox 52 from Mozilla as well? See: https://www.mozilla.org/en-US/firefox/organizations/all/#legacy for downloading a test version. Win64 installer is now singed with correct SHA-2 certificate (not mentioned in changelog). We did not change anything with respect to the signing certificate. What differences do you see between formerly signed bundles and this one? Somebody said here he had a problem on Windows 10 x64 because of SHA-1 certificate. We didn't see anything similar. old complain : pdf *acrobat vulnerabilities which inherits pdf viewer ... disable pdf viewer and download option pls. 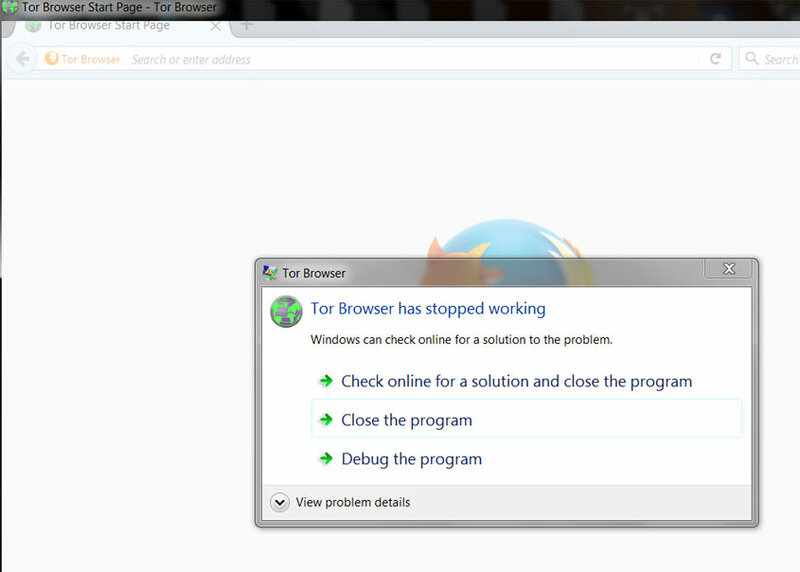 TorBrowser can't be an universal security tool vs accessibility/anonymity ! You knew it was a backdoor from google, but switched to it without hesitation! Until a few days ago Tor was working well. But now it doesn't work at all from Iran! What does "doesn't work at all" mean? What happens with a freshly downloaded Tor Browser? On which operating system? Tried older versions. Same thing. Do you have any antivirus/firewall software that could be interfering here? If so, which one? You could try uninstalling it testing whether that fixes your problem (uninstalling is often not enough). It gets stuck : 10% bootstraped. With neither of the bridges. Community or cloud. Also I've noticed lots of fake nodes setup by gov with farsi names that jam the whole thing. All in all they have successfully crashed tor from Iran from > week ago. Since they also censored Telegram app. oops ! still here ... no comment. oops ! mozilla / pub ... no comment. oops ! my linux failed here ... censured. how to use tor proxy on chrome? any way to proxy whole my network? Why Chrome? You know that it's basically Google spyware? Tor Browser does not work in China any more, please fix this big problem. What did you try and what worked before? New version doesn't open at all. None of the older versions either. Tried running older versions. All get en error prompt saying 'Tor browser has stopped working' before the browser even opens. I've been using TOR for a few years now. I noticed that you have control over youtube's auto-play. So is there a way to disable YT autoplay, in settings? It is seriously annoying when you open a bunch of videos in other tabs to view after the current one, that either they all start playing at the same time (sound), or each one is set to auto-play the next video (and you have to uncheck that in each tab, although you just unchecked it in the previous one). I can't find anything in settings regarding this... but if autoplay was disabled, that means you had finally gotten it right, and now you're undoing that great service you were doing us. Friends, what do you think about these ideas? I run a relay and exit node. One was shut down after a subpoena sadly and had to make a new one. Should I run a snowflake server or not? Will snowflake be a replacement for tor? Is snowflake stable and updated regularly? Email Me for a response. I am willing to contribute to tor and snowflake of worth my time. You'll find the hashes in the distribution directory in https://archive.torproject.org/tor-package-archive/torbrowser/ in the sha256sums-signed-build.txt file (Thus, for 8.0a7 this would be https://archive.torproject.org/tor-package-archive/torbrowser/8.0a7/sha…). Is there info on when Tor Browser will move to the latest Firefox 60 ESR? There will be alphas available starting in a couple of weeks. The final switch will be at the begin of September when there won't be ESR52 updates anymore. I have Tor Browser version 7.5.4, within a 32bit Windows 7 environment... and afterupon downloading, and attempting to add sundry add-ons by way of the Firefox Add-ons cache window, I invariably receive the response:... "This add-on requires a newer version of Firefox (and citing the preferred Firefox version)... you are using Firefox version 52.0" The problem is, I'm unable to update Firefox 52.0 to a higher version... and so, and thus, I'm unable to utilize some needed add-ons! How do I update Firefox 52.0 within Tor Browser 7.5.4? P.S. : Please forgive my added corrections! There is currently no Tor Browser available that uses a newer Firefox than 52. We are working on upgrading it to Firefox 60 ESR. A first alpha will be available in a couple of week but switching Tor Browser stable to it is not planned before September 2018. Note that it is not recommended to install custom extensions into Tor Browser as this might be detectable by websites and functionality those extensions provide could easily defeat Tor Browser's privacy guarantees.